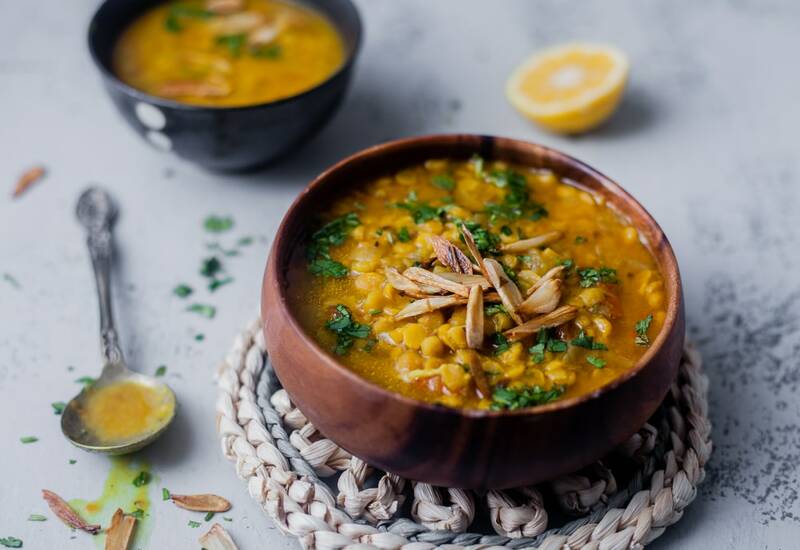 This chaana daal dish is a staple in Indian cuisine, an Indian delicacy. The pressure cooker truly brings out the flavors and cooks the Bengal gram perfectly, and the cumin, turmeric, red chile, and lemon juice complement each other nicely. It is great served alone as a soup or with some rice. It makes a perfect meal for any night of the week. Substitute yellow lentil for the Bengal Gram. Per Serving: 136 calories; 8g fat; 14.0g carbohydrates; 4g protein; 0mg cholesterol; 621mg sodium.